Department of Agricultural Extension DAE job circular 2018 has been published New job vacancy Notice at www.dae.gov.bd . 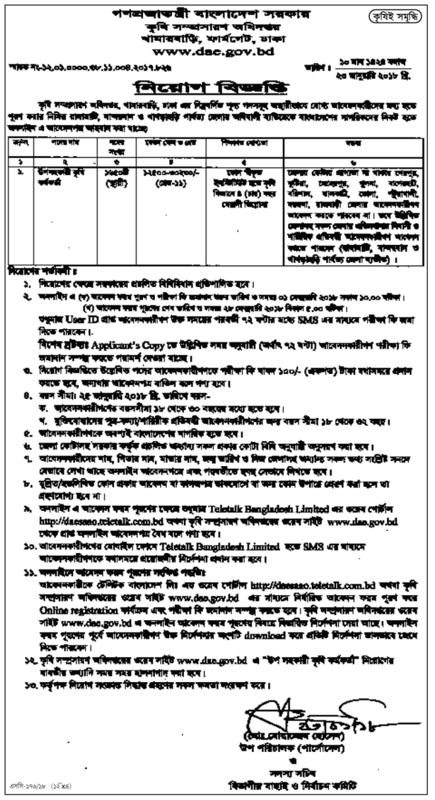 DAE job circular offer total 01 New vacancy in this post. Freedom Fighter children has a great opportunity for this govt job.Check Below this Original notice for more information.